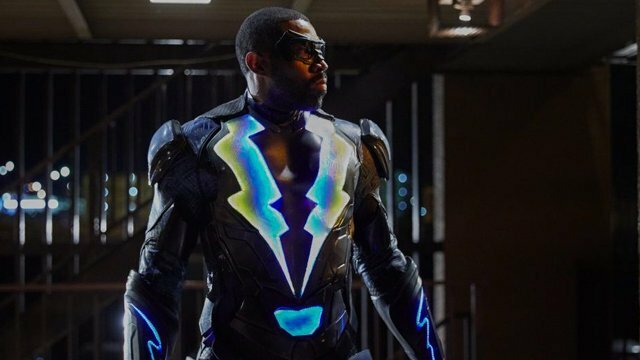 The CW has released a new teaser for Black Lightning season two, which invites everyone to “Guess Who’s Back.” The 30-second video, which you can watch below, plays out like a role-call for all the major characters in Black Lightning season one, promising their return when the show comes back next month. In the trailer, Tobias Whale (Marvin “Krondon” Jones III), Khalil Payne (Jordan Kalloway), and Syonide (Charlbi Dean Kriek) are all mentioned by name as threats that promise to “keep coming.” You can see the teaser in the post below! Khalil Payne was a high school All-American track star with dreams of going to the Olympics until a stray bullet severed his spine, leaving him embittered and unable to walk. Black Lightning’s archnemesis Tobias Whale offers him legs for loyalty. Khalil accepts the offer and receives cybernetic enhancements that transform him into the Painkiller, meta-strong and able to generate an anesthetic from his body that causes temporary paralysis when delivered through darts. Now, he is a living weapon for a ruthless crime boss. Before long, he pines for his old life and dreams, and his teenaged love, Jennifer Pierce (China Anne McClain).